Figuring out how to properly size your HVAC unit is vital for your business. If it is not sized correctly for your property, it could cause a variety of issues from running non-stop to running in short bursts constantly throughout the day, insufficient moisture removal, to inconsistent temperatures throughout your space. All of these problems will make for a noisy, uncomfortable environment, even a potential for mold growth. Additionally, what’s worse, a very high energy bill, all year long. Our experienced team of HVAC technicians has seen these problems repeatedly with many of our commercial clients. Additionally, we have experience working with you to size your HVAC unit to avoid these and many other concerns. Lastly, by ensuring your unit is appropriately sized, it will guarantee maximum efficiency, and save you money. You will need to determine how many BTUs are required. 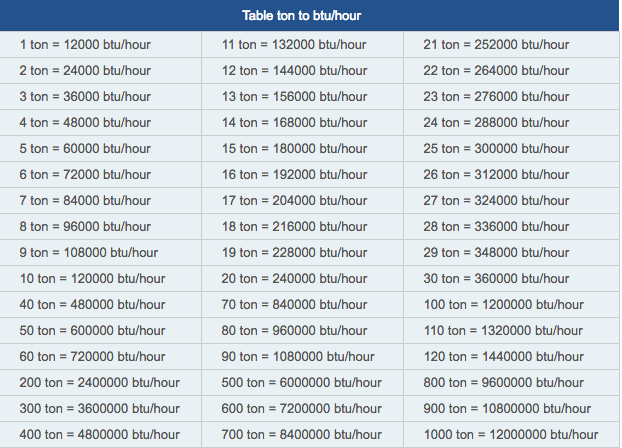 The BTU measurement describes the size of the unit or units in tons. A BTU, or British Thermal Unit, is the amount of heat needed to heat 1 pound of water one degree Fahrenheit. Though BTUs are important, most larger air conditioning units are rated in tons. Since 12,000 BTUs equal 1 ton, an air conditioning unit rated at 3 tons can produce 36,000 BTUs. Step 1: Calculate the square footage of the area to be cooled. Figure out if the office space will be divided into zones that cooled by separate air conditioning units. Keep these measurements separate. Step 2: Next, multiply the square footage obtained for each area by 25. Step 3: Then, add 400 for each person who works in that particular area. Step 4: Finally, for each window, add 1,000. Step 5: The number gained from steps 1 to 4 represent the minimum BTUs that the air conditioning unit should provide. These calculations are for rooms with an 8-foot ceiling. However, higher ceilings require a greater number of BTUs. While it is simple to calculate BTUs, converting those calculations to tons is more complicated. Assuming a minimum amount of doors and windows are within your area, the chart below gives some base BTUs and their ton equivalents for office managers to consider. If you have any questions how to size your HVAC unit, contact the experts at The Severn Group. Our team will work with you to help you save money, today, on your energy costs.